Working from home is a modern-day convenience that most employees would like to enjoy. However, it’s often filled with the distractions of home life, like pets, kids, laundry, a fridge full of food, and your favorite TV show waiting on the DVR. Nevertheless, it’s an opportunity that’s hard to pass up if it’s available. If you don’t have a dedicated office space to minimize distractions, there may be another solution right under your nose: your garage. An unattached garage can be utilized two ways, depending on how much office space you need and whether you want to continue using it as a garage. If your garage has usable attic space, it can be finished as an office space. 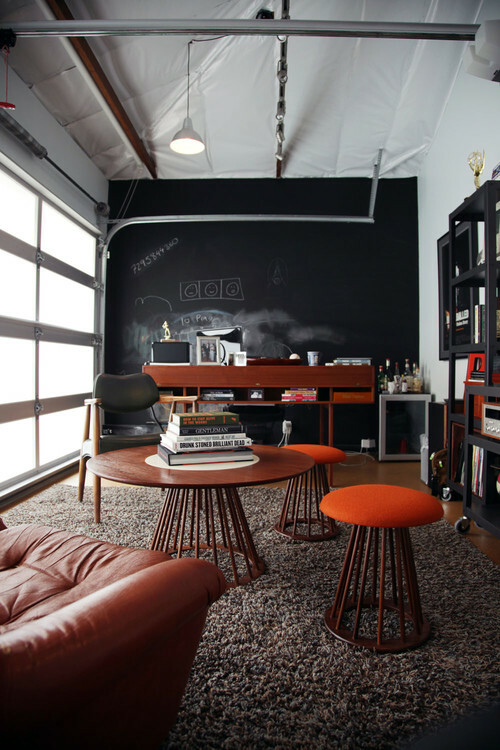 Alternately (and most commonly done), you can remodel the garage to make it a fully functional office space. Although it may be hard to picture your garage as anything else, if remodeled correctly, it can become the office you’ve always dreamed of. Before you begin your project, there are a few things to consider, such as layout, materials and design. If you choose to convert the attic of the garage, it’s important to remember that you’ll need a stairway to get up there! So as not to take up garage space, you might prefer to have a stairway installed on the exterior. 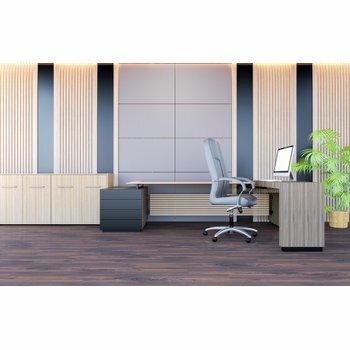 This will give your office a private entrance, and it’ll also open up the opportunity to build a balcony, giving you some outdoor office space when the weather is nice. 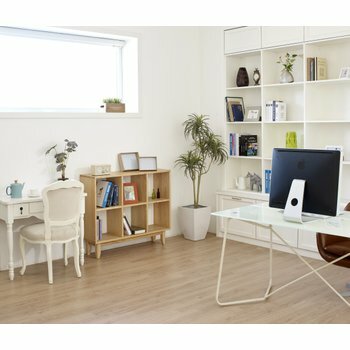 If you choose to transform your garage into an office, you should first decide how much space you need. If you have a two-car garage, you may wish to only use part of it as an office so you’ll still have enough space to park one car inside. In this case, you can erect a wall to create two separate spaces. A single-car garage is 240 square feet, on average, which should be more than enough space for a home office. With this option, you can get the best of both worlds! Whether you’re renovating the garage or the attic of the garage, you’ll need most of the same materials. The first thing you’ll need is a building permit to complete the work. You may also need to add a window and an exterior door, if they don’t already exist. Plus, you’ll want to install insulation behind the walls, assuming it isn’t there already. 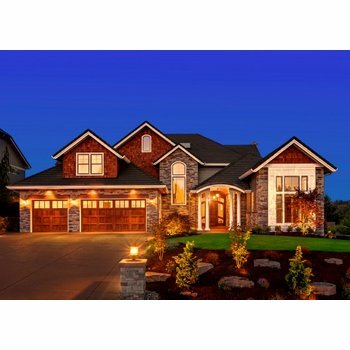 A typical garage is outfitted with some electrical outlets; however, you’ll likely need to hire an electrician to add a few more outlets to suit all of your electrical needs, as well as more ceiling lighting. Nothing will make your new office space feel like a garage more than a single bare lightbulb protruding from the ceiling. Finally, you’ll need to install a heating system. This often seems like the most difficult part to homeowners because retrofitting an HVAC system into the space requires some extra work and money (especially if the garage is detached from the house); however, most people overlook the option of installing an electric floor-heating system instead. If you’re comfortable with leaving a window open and running a fan on warm summer days, then all you have to worry about is how to heat your new office space. And if you’re already having an electrician add some electrical outlets and lightboxes, they can also make sure your home has what it needs to run an electrical floor-heating system. For a small space like an office, most homes can utilize an existing circuit breaker without needing to upgrade their electrical panel. Virtually any flooring material can be used with an electric floor-heating system. In a garage, laminate click-together floating wood flooring is a durable, affordable option to consider. An Environ™ floor-heating system from WarmlyYours is easy for a DIYer or professional to install. Cork underlayment sheets should be adhered to the existing concrete slab to prevent any heat from absorbing into the concrete. Once the cork insulation has been added, the floor-heating system can be laid out, with the flooring installed right on top. With an Environ™ floor-heating system and a floating wood floor, no thinset or self-leveling cement is needed, making installation particularly fast. For a 240-square-foot space, the cost of an Environ™ floor-heating system with a programmable thermostat and cork underlayment is approximately $2,500. To get the most accurate cost estimate for your individual space, use the Radiant Floor Heating Quote Builder. Photo by Amy Sklar Design Inc.
Once you’re sure the space will be physically warm, it’s time to make it look warm and inviting. One of the best ways to do so is with pillows and draperies. Once you’ve anchored your desk and office chair, place a couple of extra chairs in the room for some additional seating. Outfit the chairs with bright, fluffy pillows for a friendly, inviting touch. On your window(s), opt for draperies instead of blinds for a softer look. Unique furniture and lighting fixtures will add personality to your space. Plus, take the opportunity to use a bold color on the walls. This is your home office, so make it your own! Another great option is to select one wall as a blackboard or whiteboard wall. Blackboard or whiteboard paint will make your space extremely functional while adding a unique design aspect. For more design ideas, check out Houzz.com. Previous Post How Much Does a Heated Walkway Cost?